In an effort to bring creativity and something different to my seemingly traditional wedding, I’ve been on the hunt for some unique elements that I can easily incorporate into the big day. 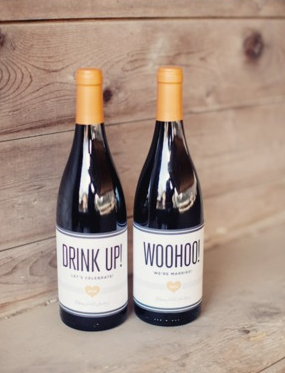 Here are some cute ideas that I came across so far (and many more to come!). So, what could be better than a beautiful wedding cake? 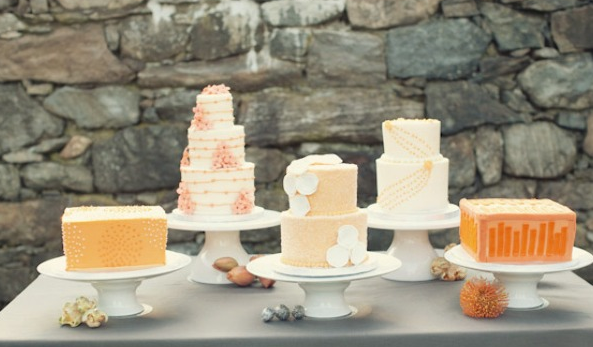 An entire table filled with an assortment of beautiful wedding cakes!! 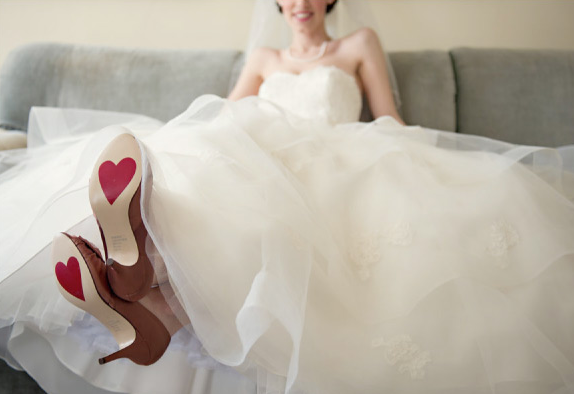 A hint of decoration on the bride’s shoes…. I just LOVE this idea! So adorable! 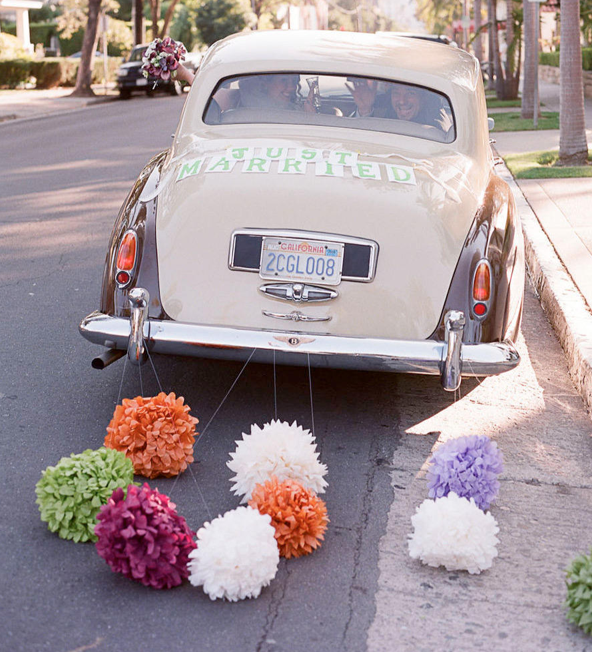 Kick the soda cans and go for fun pom poms! I love the wedding cake idea! !